This image, if you look closely, shows the massive size of one of the world's most iconic landmarks. 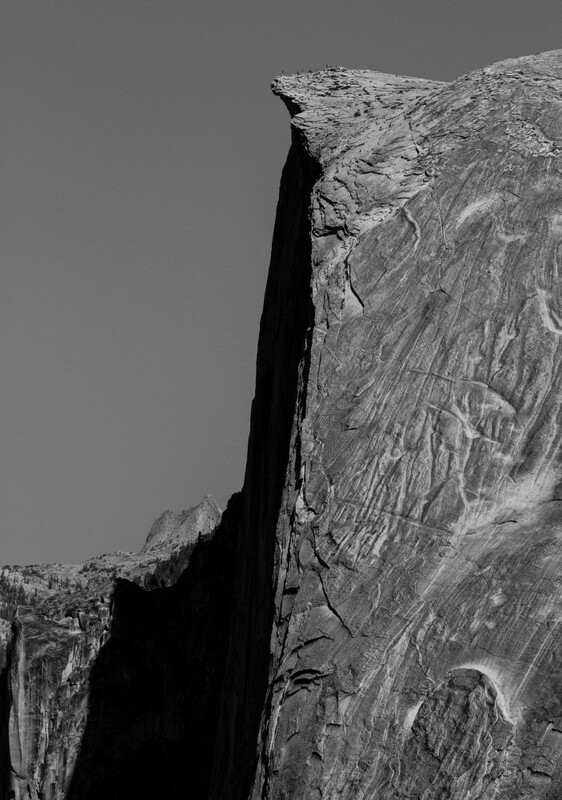 At the very top of Half Dome, you can see climbers who've scaled the back side of the rock. Yes, they're mere specs. If, like me, you fear heights, the thought of those "specs" near the lip of the mountain are enough to give you the jitters. One of my other favorite aspects of this image is the texture of the rock, which has been carved by the elements for thousands of years.